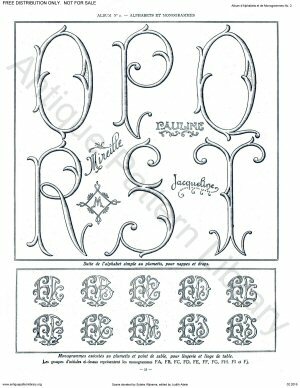 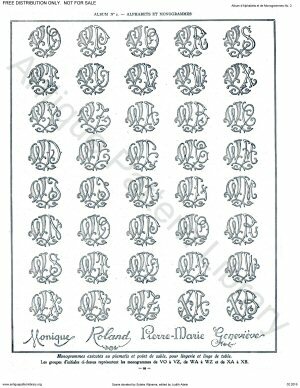 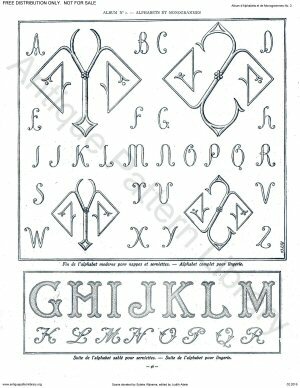 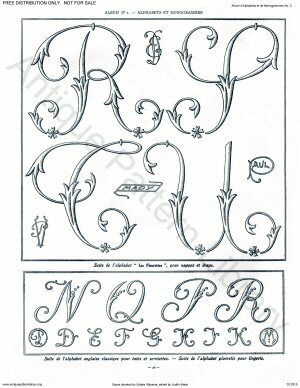 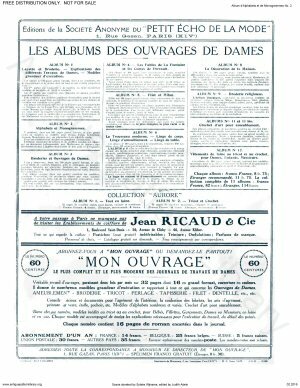 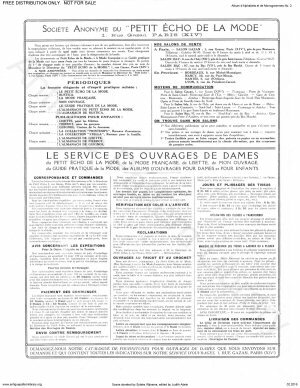 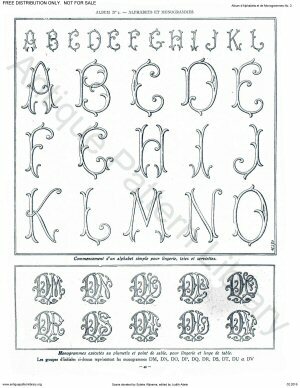 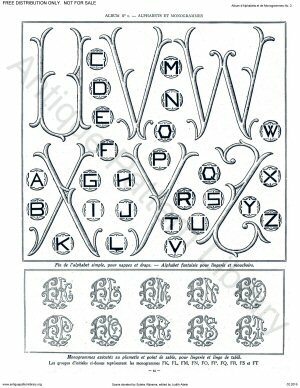 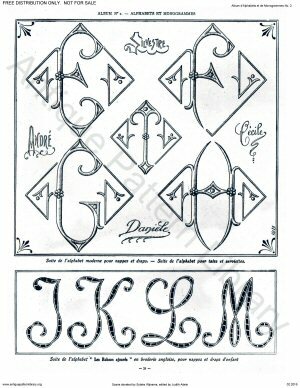 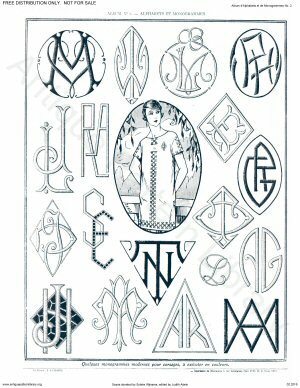 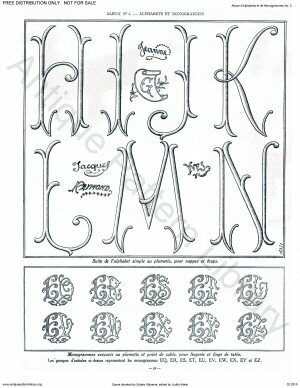 Edition du "Petit Echo de la Mode"
Multiple large and small alphabets for single letter monograms. 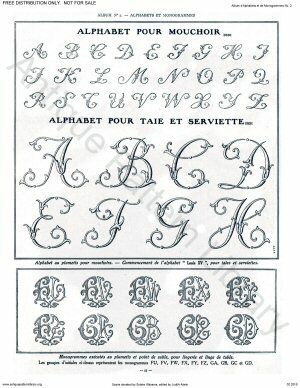 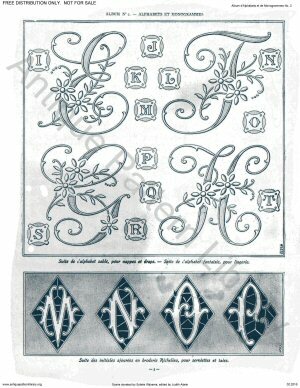 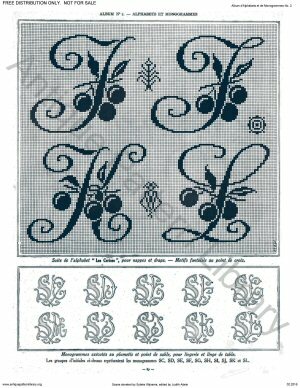 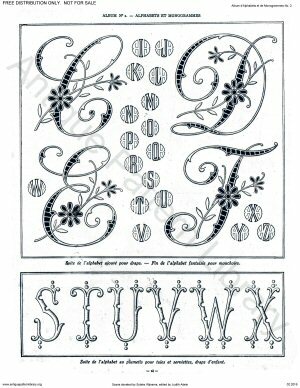 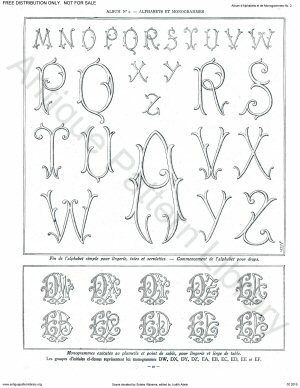 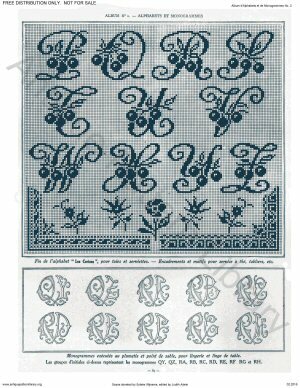 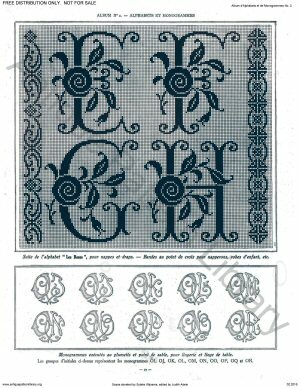 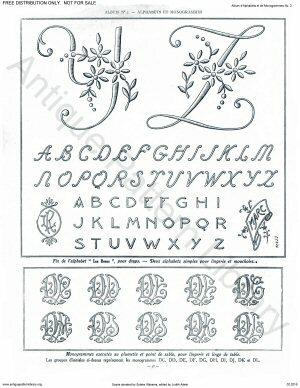 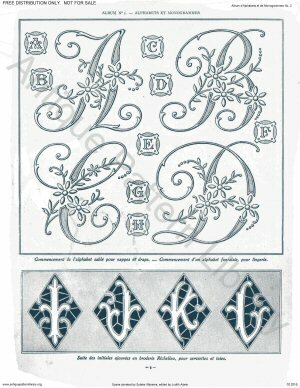 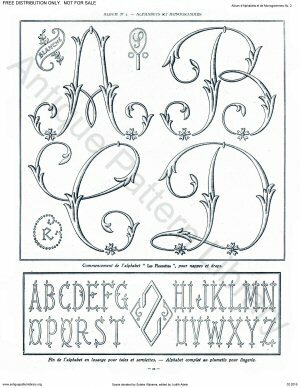 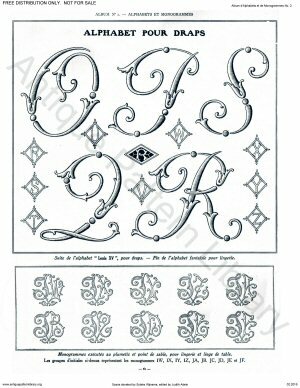 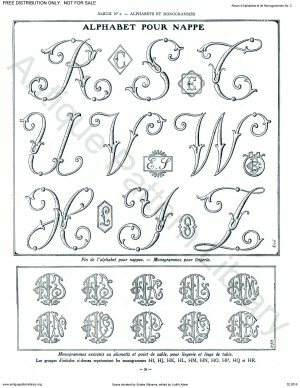 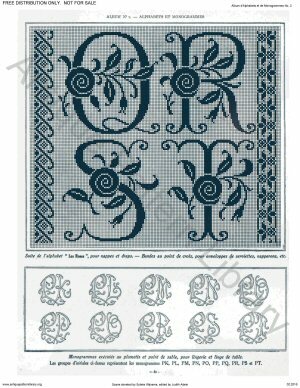 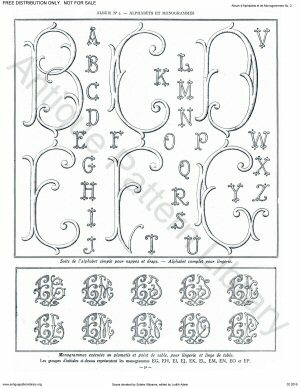 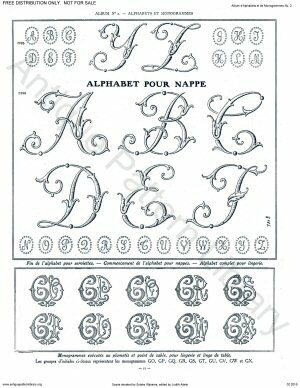 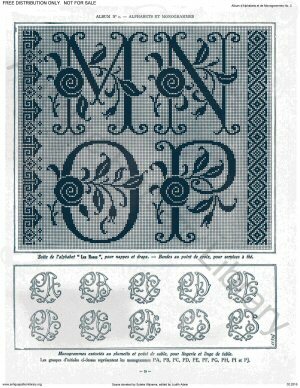 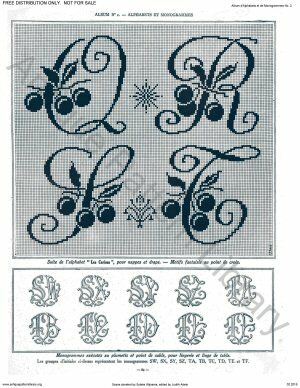 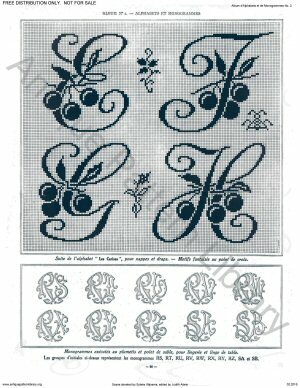 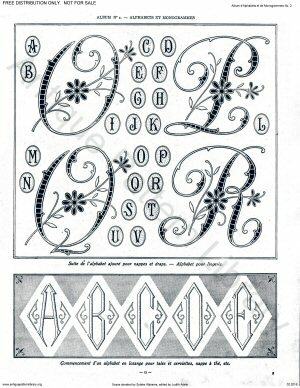 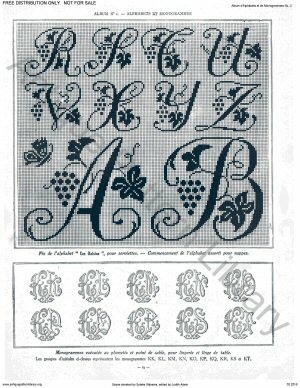 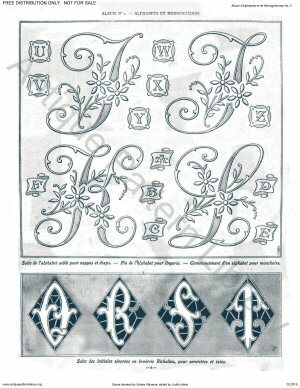 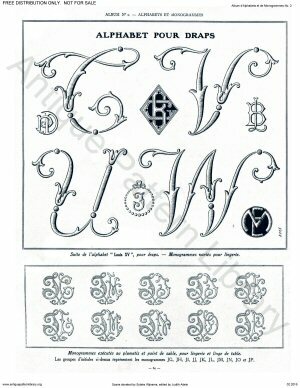 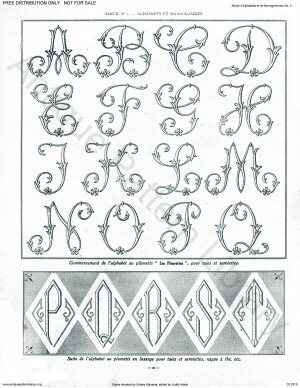 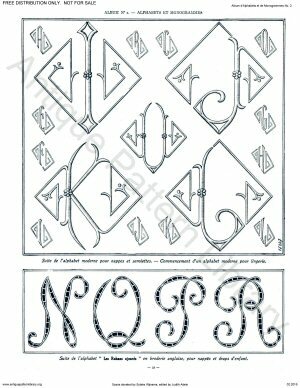 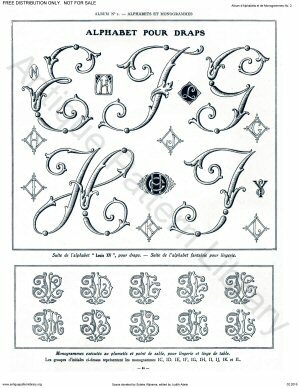 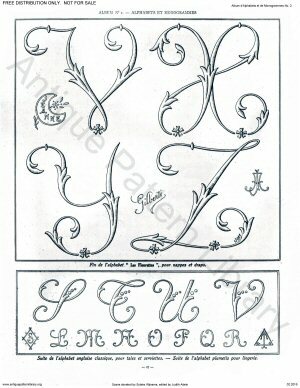 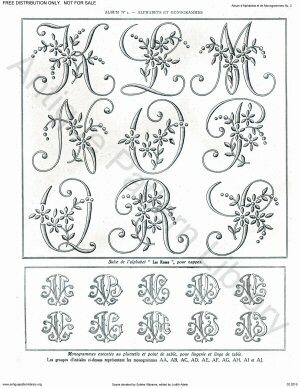 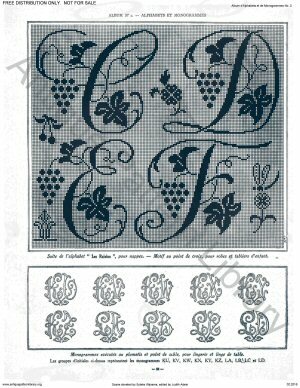 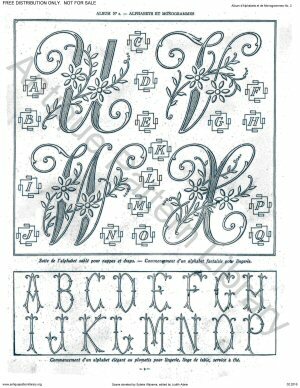 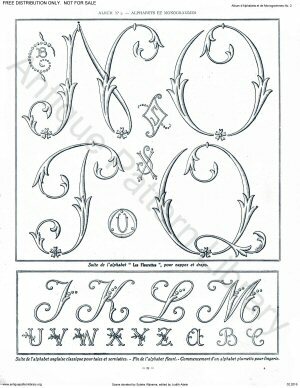 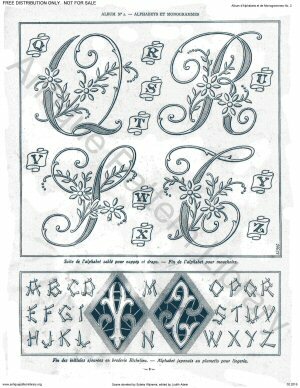 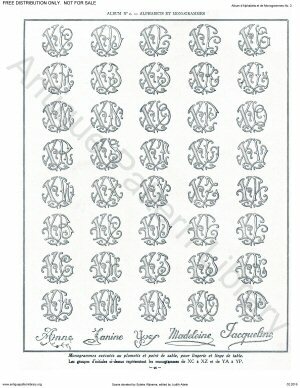 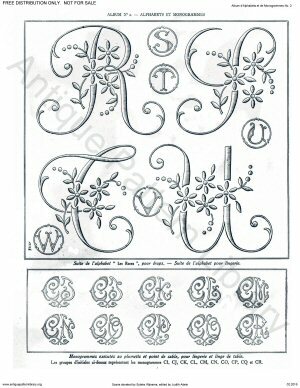 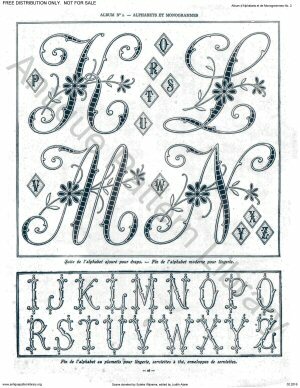 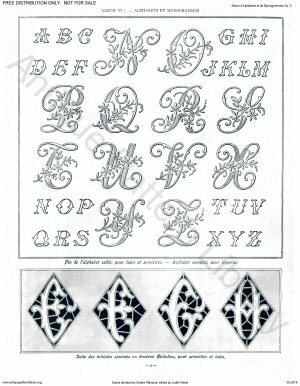 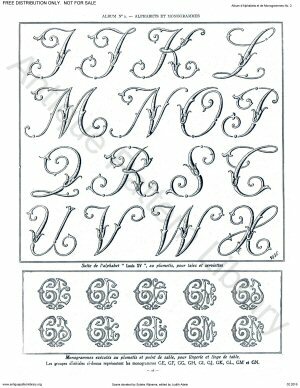 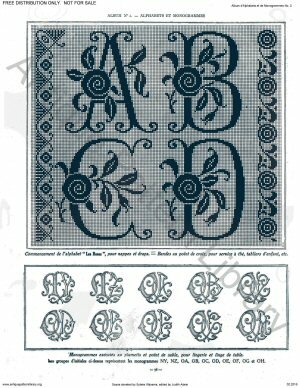 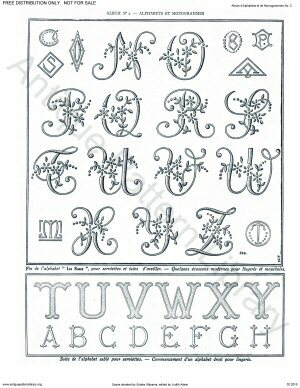 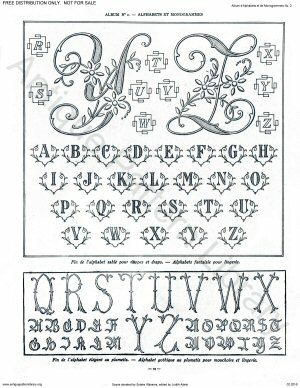 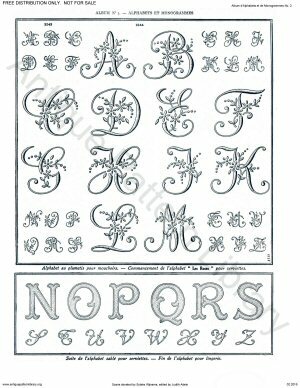 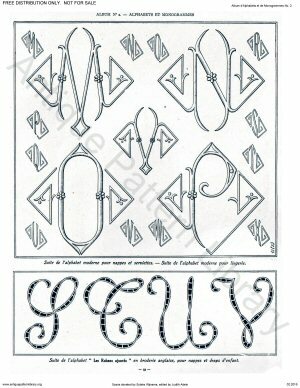 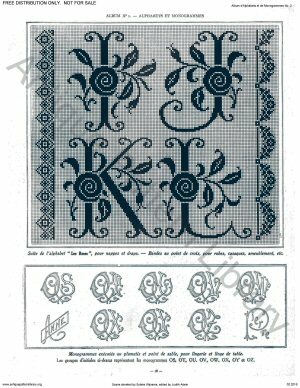 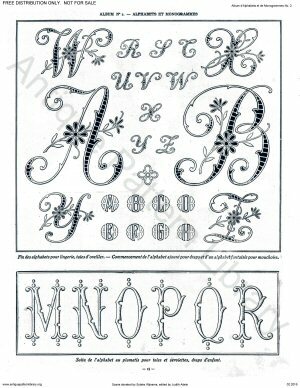 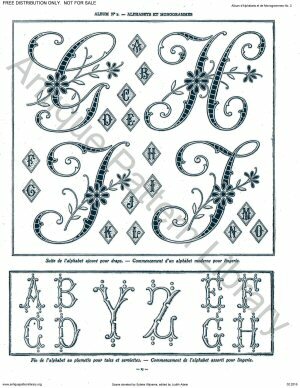 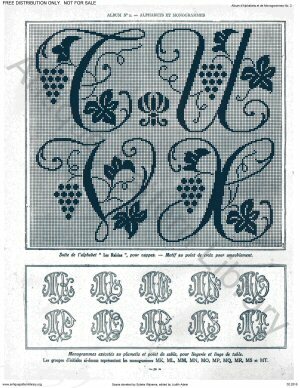 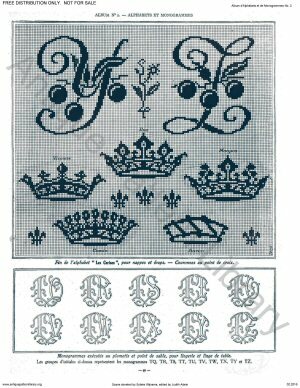 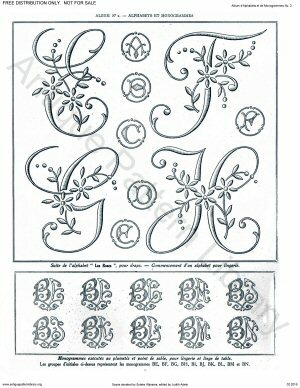 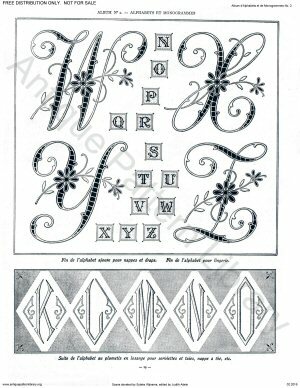 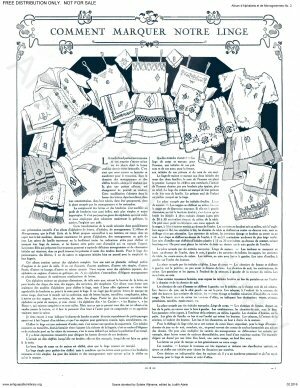 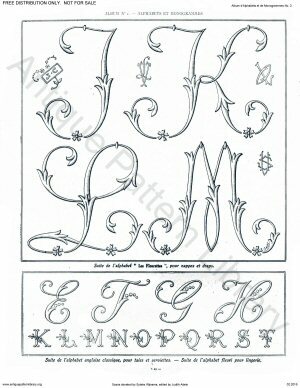 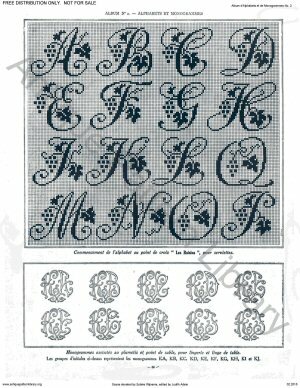 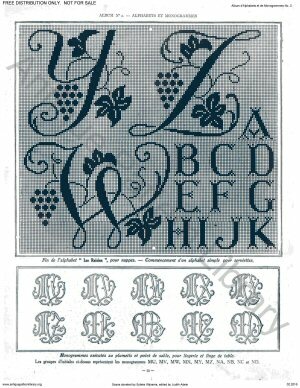 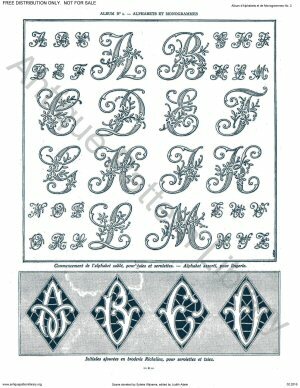 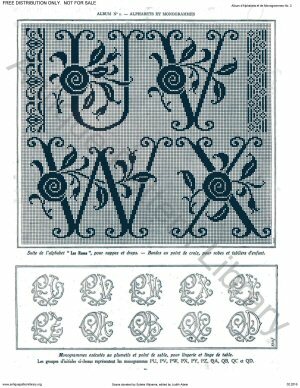 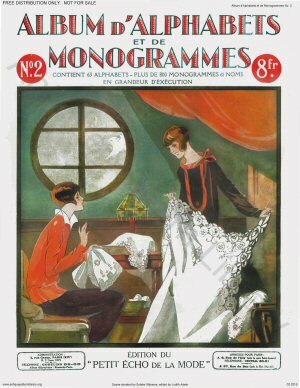 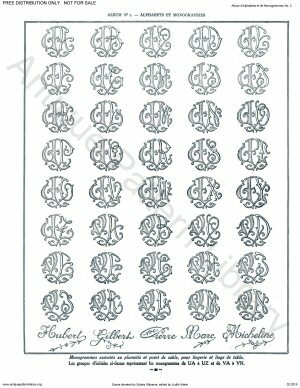 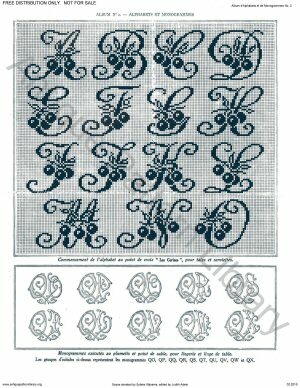 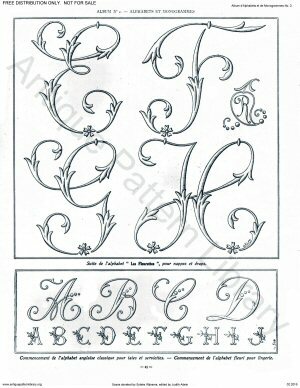 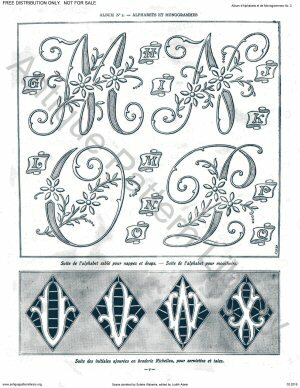 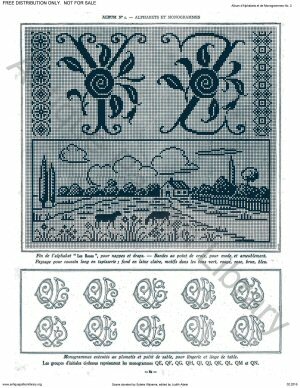 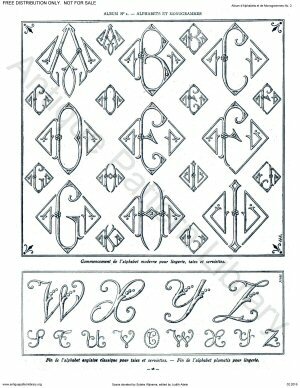 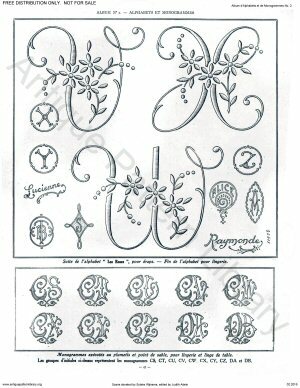 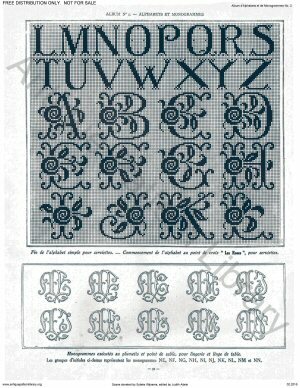 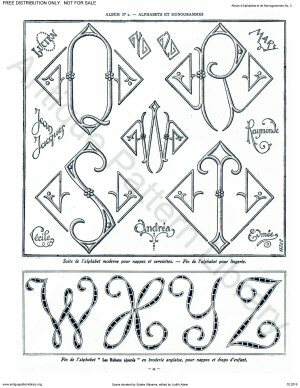 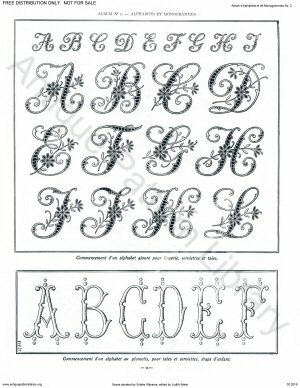 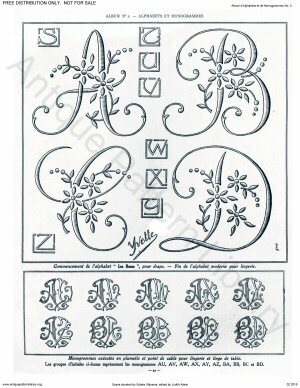 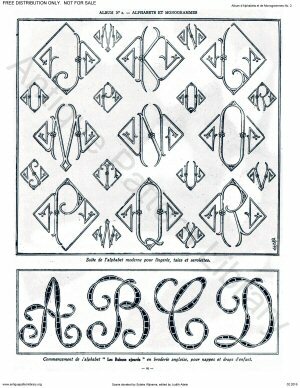 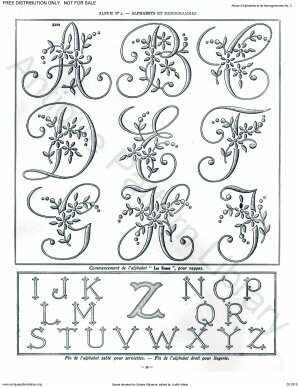 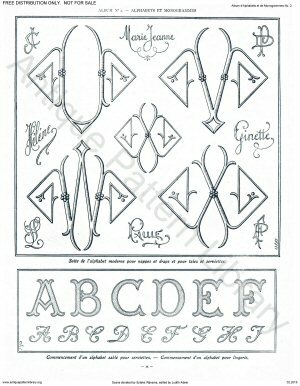 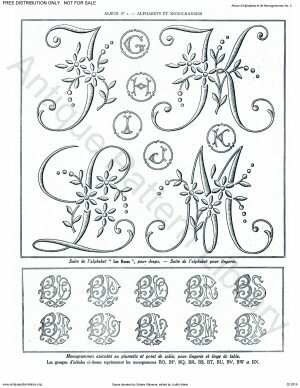 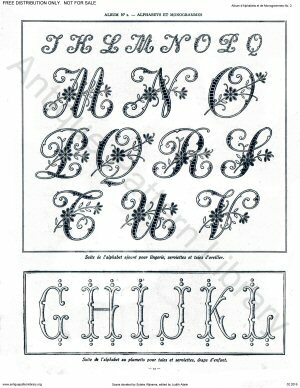 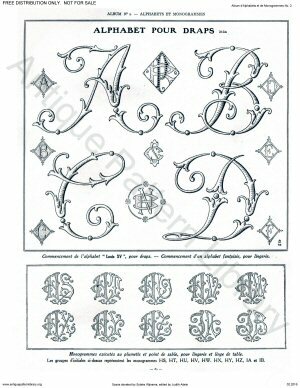 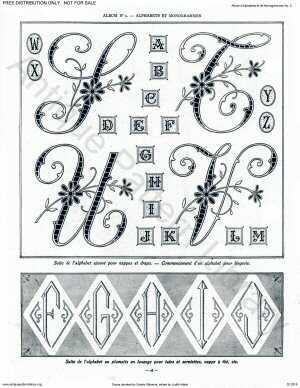 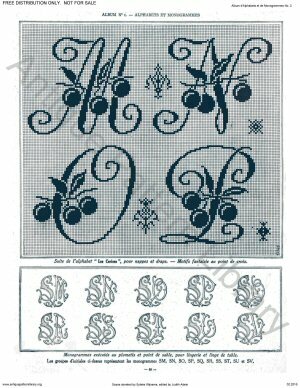 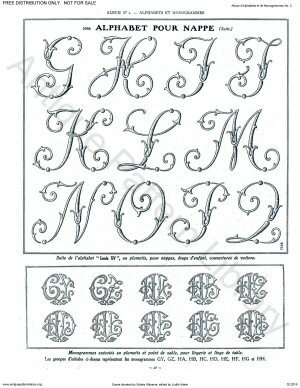 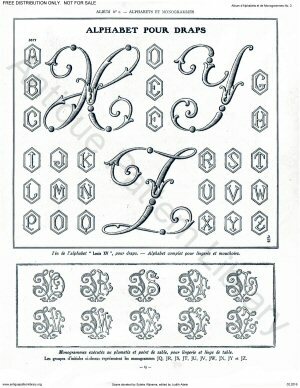 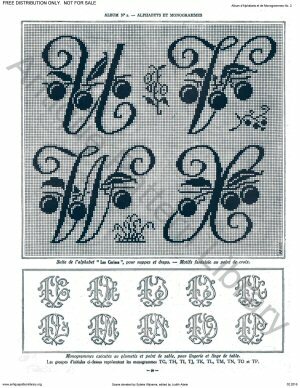 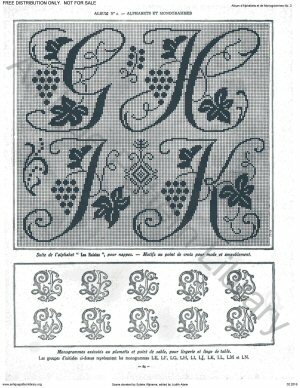 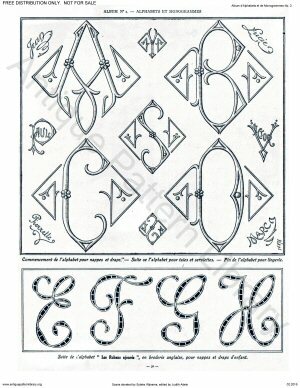 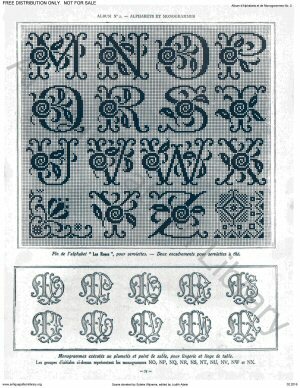 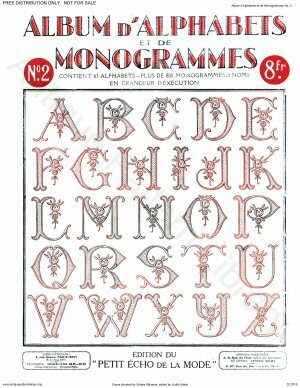 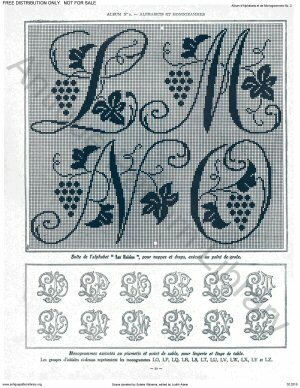 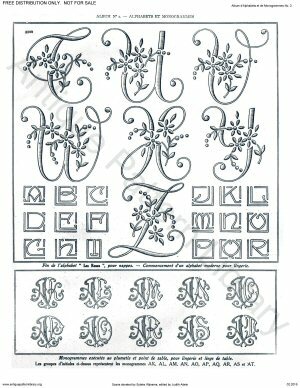 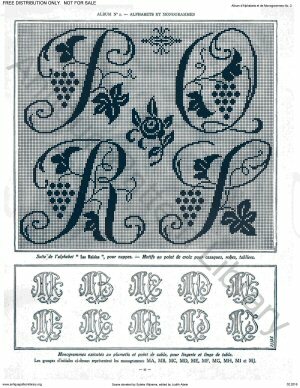 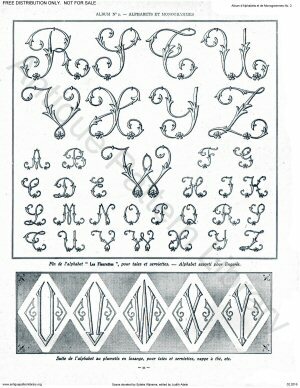 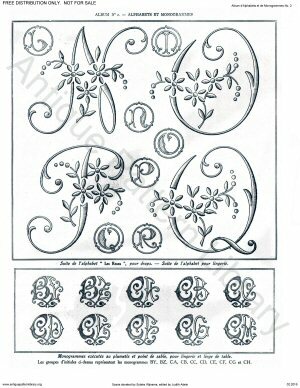 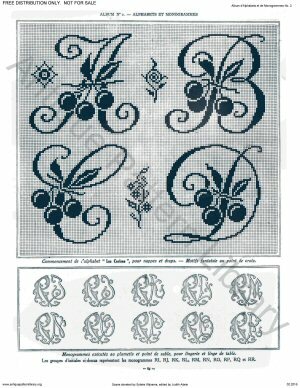 Includes freehand designs for surface embroidery and cutwork, many in classic 1920s style diamond lozenge format. 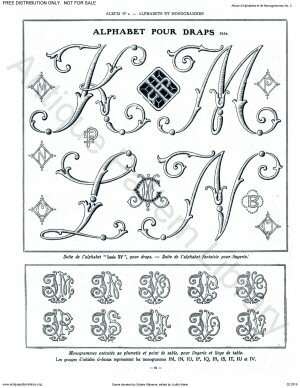 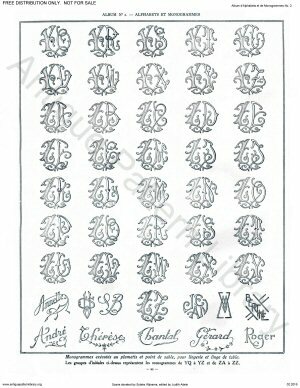 Also includes several very large and large charted individual letter monograms, plus charted borders, spot motifs, and coronets.